San Jose condo and loft news. There are currently 62 blog entries related to this category. Wednesday, May 20th, 2015 at 9:58am. It looks like some much needed housing inventory is headed for Silicon Valley in the shape of two 18-story condo towers. BDK Capital Group LLC has announced plans to break ground on The Landmark Towers in Milpitas next year, with completion expected in 2018. When complete this high-rise project will bring 450 luxury condominiums to the Silicon Valley real estate market which is notorious for low inventory and high prices. The Landmark Towers development will also feature commercial space and restaurants. The residential side will be full service with resident amenities like a rooftop deck, fitness center, pool, clubroom and lounges. This development joins a lot of other new projects nearby, including Levi's Stadium. Pricing has not been announced. Wednesday, December 4th, 2013 at 8:14am. We are so very excited for our first ever San Jose Downtown First Friday Art Festival event! Highrises.com along with The Sliding Door Company and the Silicon Valley Music Festival will bring a local musician James Deitz to play his Marimba at this special performance. Sit back and relax with a nice glass of wine while enjoying the sounds of an incredible musician. We are located at 355 South 1st. right at the bottom of the 360 Highrise. Wednesday, September 4th, 2013 at 11:26am. 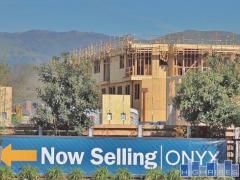 San Jose’s housing market is on fire! The demand for multifamily housing is increasing as the economy rebounds and housing prices are increasing. In July condo closings increased 27 percent and the median price 28 percent when compared with July of last year. Last year a condo took 53 days to sell, and now the average is 19 days.